It’s hard to believe that we have reached the end of the school year already. Time certainly flies when you’re having fun and that has been the theme in the department lately. 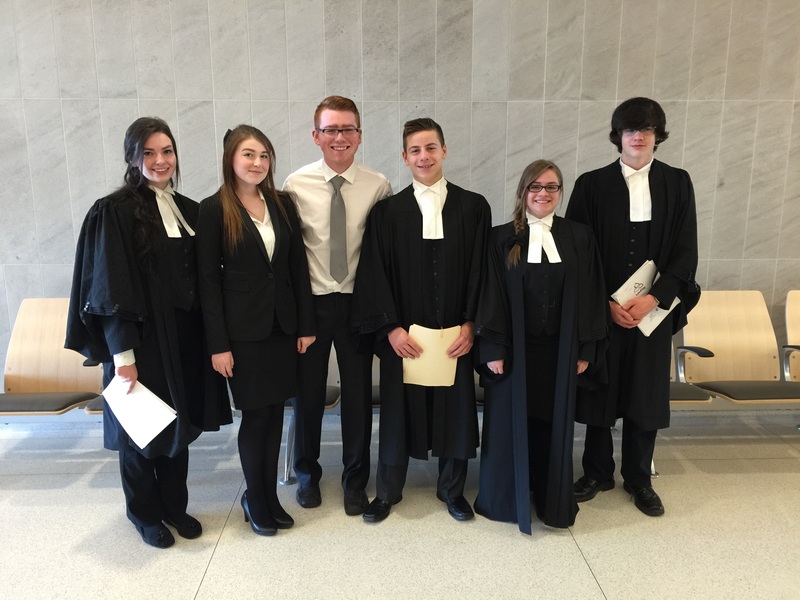 On April 17th our school was again fortunate to participate in the annual Law Day Mock Trial held at the Thunder Bay Consolidated Courthouse. 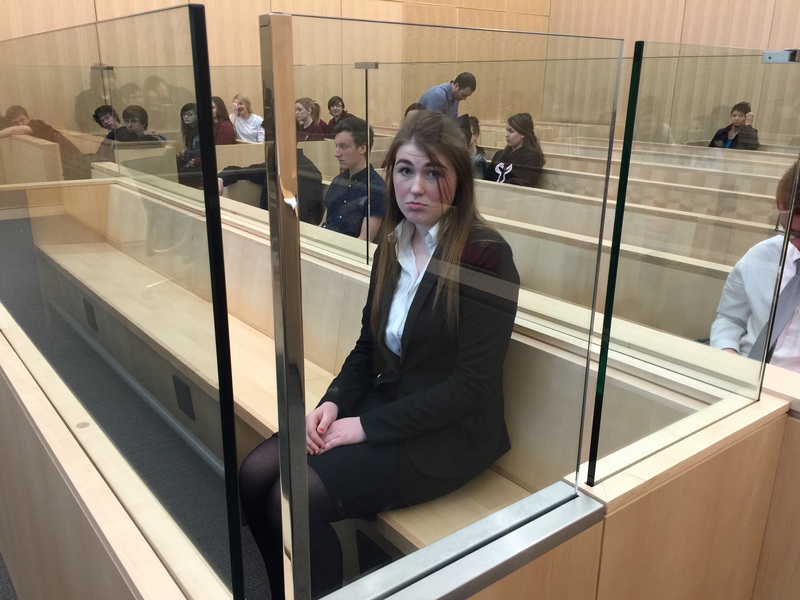 This event gives students an opportunity to experience what a real courtroom is like by playing the roles of lawyers, witnesses and the accused. Our team prepared for the trial under the direction of Mr. Cappello and Ms. Cavar. 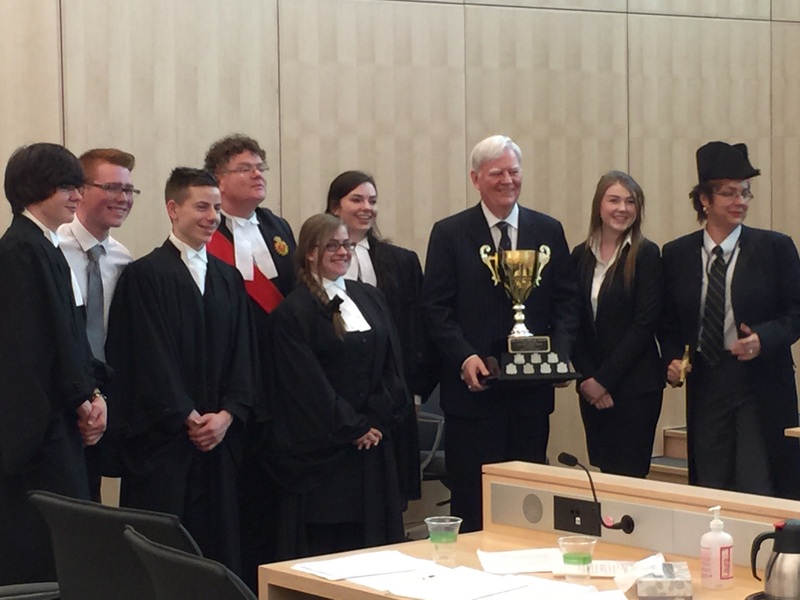 After arguments were heard, it was judged that we were the “winners” of the case; the trophy would head back to St. Patrick for the second year in a row. Congratulations on a job well done! Our team before court, April 2015. Vicki, the “accused,” April 2015. 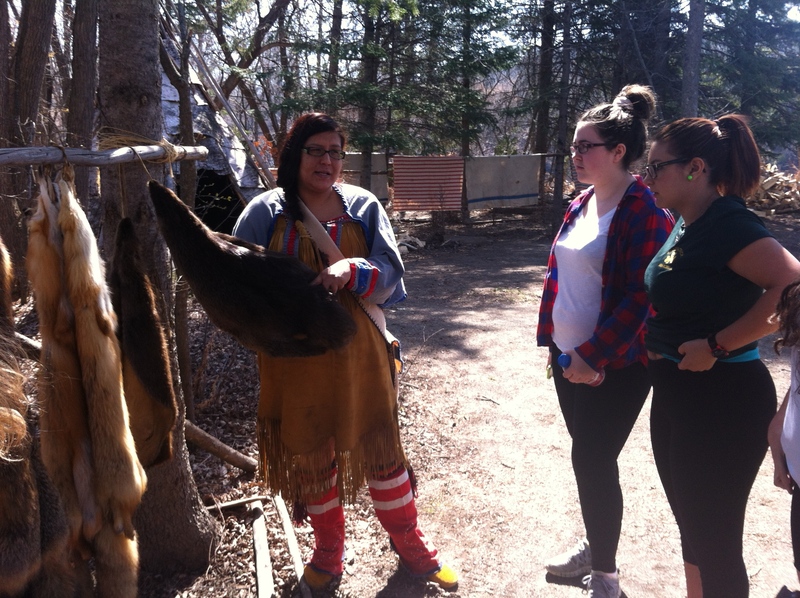 On May 6th and May 21st, students from Ms. Hallarn and Mr. Myers Grade 9 geography classes travelled to Fort William Historical Park to experience some “hands-on” activities. 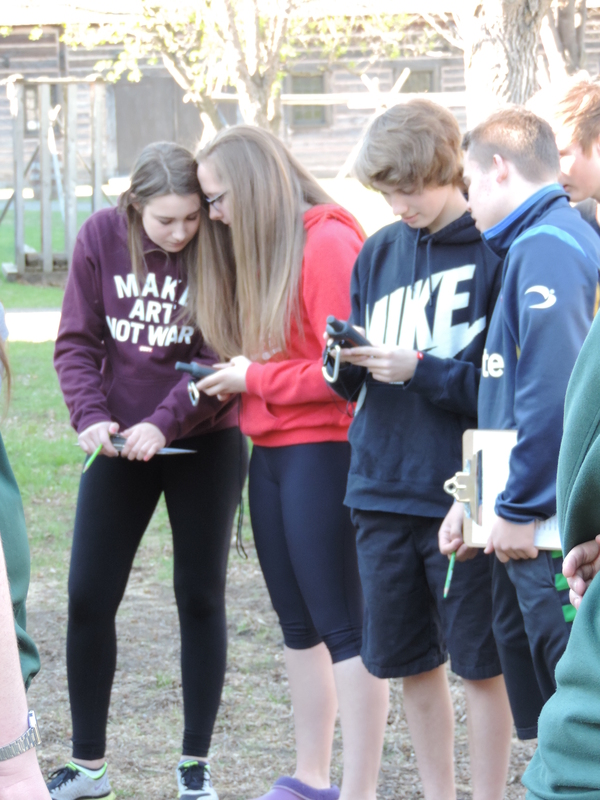 Students tested their technological skills with a fun GPS scavenger hunt around the fort. 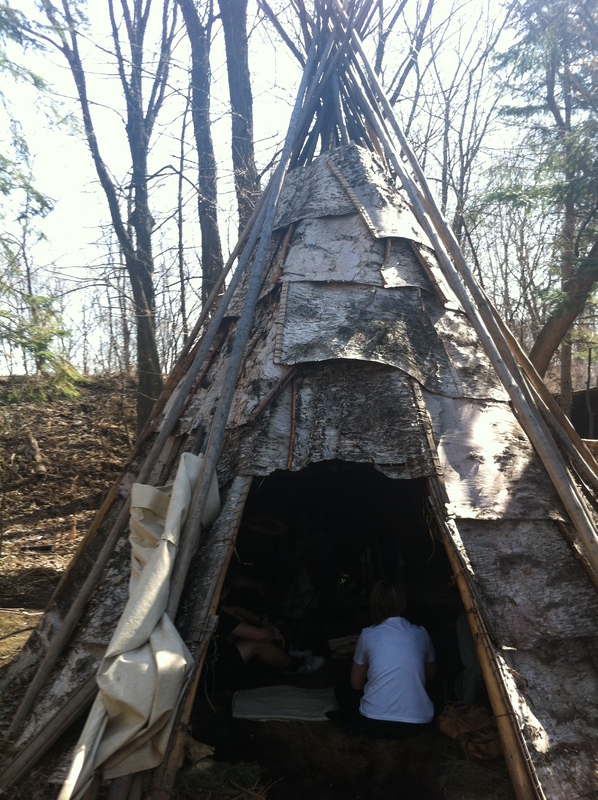 They then had the opportunity to learn about traditional native culture at the Learning Wigwam located at the First Nations Encampment. We hope this will become a yearly for all our Grade 9 geography students. 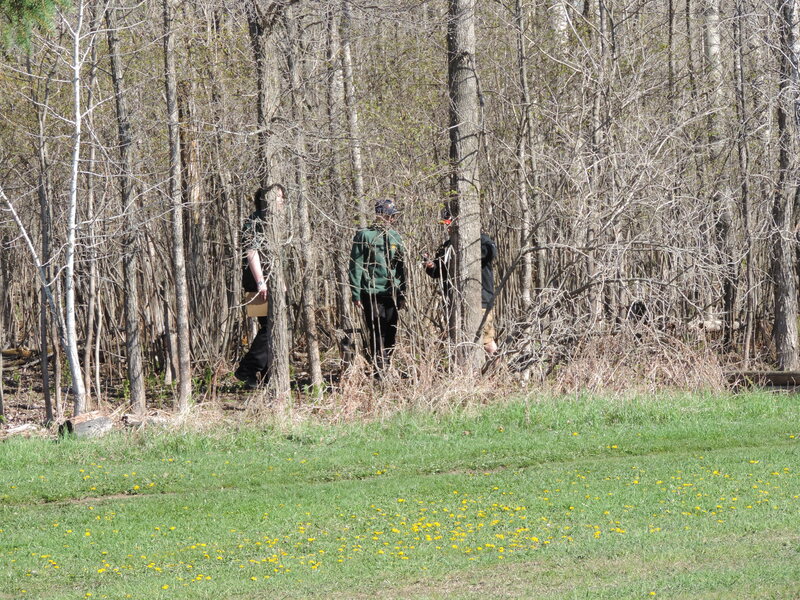 GPS scavenger hunt, May 2015. 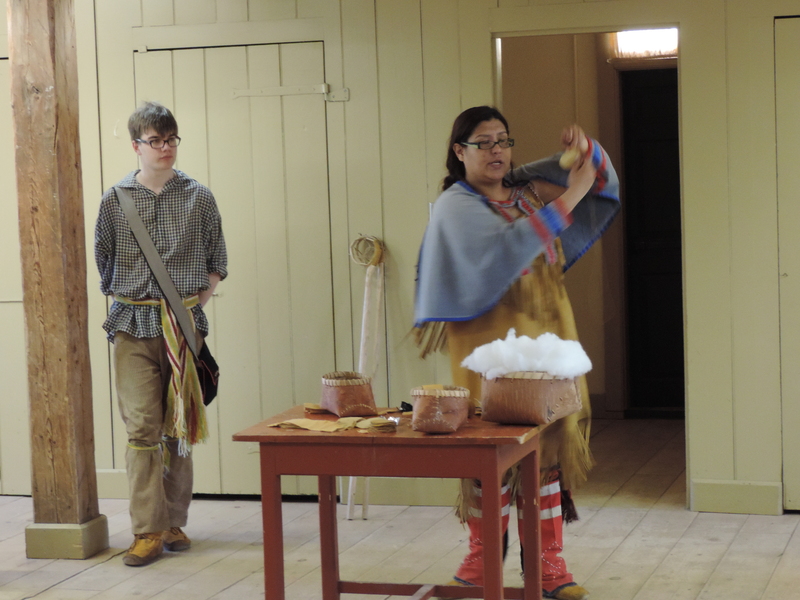 Learning to make lacrosse balls, May 2015.